P.S. Remember the awesome after-school program I mentioned in the previous post? The one that got my kids to stay up all night learning Torah on Shavuot? 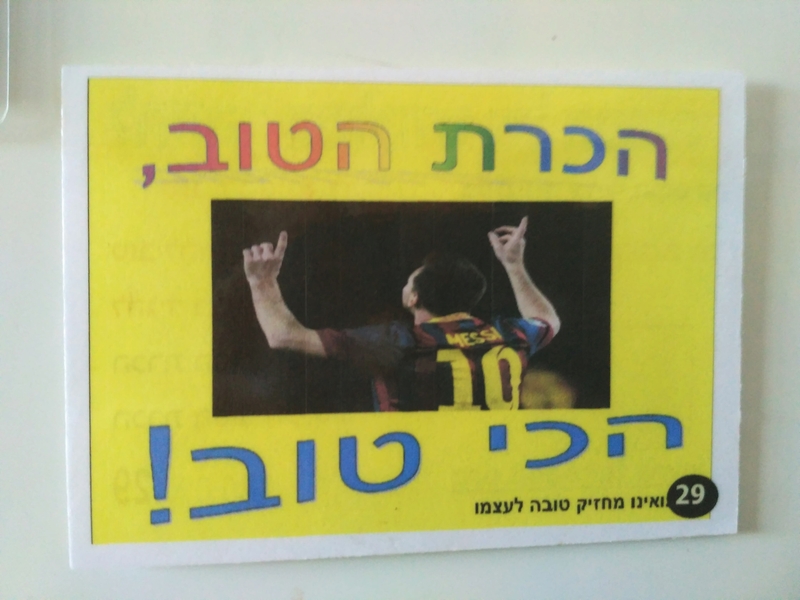 What on earth, you may be wondering, is a picture of Messi doing illustrating a card about a value learned from the Mishna?! 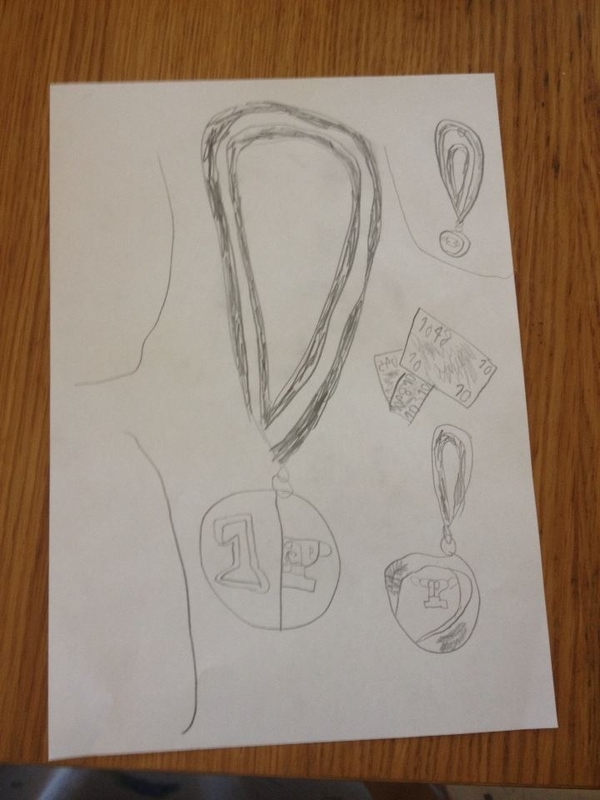 R1 explained it to me: The value they were studying was hakarat hatov, which literally means “recognizing the good”. The term describes a sort of humble gratitude: recognizing and acknowledging the good that someone (or Someone) has done for you, rather than taking full credit for all your achievements. To demonstrate this value, their teacher showed them a video of a spectacular soccer game won by the Barcelona team. When Messi scores the winning goal, he points at the sky–as shown in the photo–and then points at the player who passed him the ball. Their teacher explained to them that even Messi, revered by practically every Israeli boy as the best soccer player in the world, recognizes that his accomplishments are not his alone, but are thanks to God–who gave him the talent and opportunities that brought him to where he is today–and to his team members, without whom he would never have been able to win the game. And that is how you teach a group of soccer-obsessed Israeli boys about gratitude and humility! So, last week was Shavuot. (If you need a refresher on Shavuot, click here!) I’ve mentioned before that there is a custom to stay up all night learning Torah on this holiday. Our town has a particularly rich and varied program for this purpose; lots of different kinds of classes and workshops and activities in different places (and different languages!) running until morning. Eitan and I usually decline attending any of them in favor of going to bed and feeling human the next day. My two elder sons, however, had other plans. H and R1 attend this after-school program called “Beit Yachad” (literally “the House of Together”). Each week they focus on a different value learned from Ethics of the Fathers in the Mishna. They have activities based on the theme of the week, including working with the community and volunteering as well as artwork and putting on skits and stuff. The guy who runs it is an incredible and highly experienced educator who has an amazing way with children. On Shavuot, they run a special program for children from first- through third-grade starting at 10:30pm and running, yes yes–all night. (Israelis in general and Tekoans in particular have a very blasé attitude toward sleep hygiene. This is something that has always driven me crazy–especially as an intermittent insomniac who really, really suffers when she’s sleep-deprived.) They go through all 48 values that they intend to address over the course of the year, and the children are rewarded with treats and prizes along the way. Last year, when H was in first grade, he really wanted to go and I wasn’t sure how to make it work. I mean, he had just turned 7. What 7-year-old can stay up all night learning–generous bribery notwithstanding?! That year, I was asked to participate in an artist’s discussion panel as a local author, so we dropped H off at Beit Yachad at 10:30 and I figured I’d pick him up after midnight on my way back home. But when I got there, he begged me to let him stay. I was torn between my American-helicopter-parent instincts–which screamed at me that it was utterly insane to leave my son here overnight and trust him to ask an adult to help him cross the street and come home on his own while I was still sleeping–and my Jewish-mother pride that my 7-year-old was begging me to let him stay up all night to learn Torah. In the end, the Jewish mother in me won, and I went home and slept very fitfully, worrying about him getting home okay. He was totally psyched to do it again this year, and I was confident about letting him do it again. But I wasn’t sure about R1. He’s more sensitive to physical discomfort; he needs more rest and more space and gets frustrated more easily. I wasn’t sure he’d be able to handle an all-nighter at the tender age of 6. I wasn’t even sure he’d be awake at 10:30pm when the program started. But he was, and he wanted to go. So we told him to come home when he wanted to and to have an adult help him cross the street. Eitan took them over there at around 10:20–bringing along the remainders of H’s birthday cake–and we went to bed. I awoke with the Muslims just before 4am, and saw that neither of the kids were home yet. I lay in bed listening to the muezzin and trying not to worry. (Always a successful tactic, as I’m sure you know.) I gave up around 5am and moved to the couch to read a book. 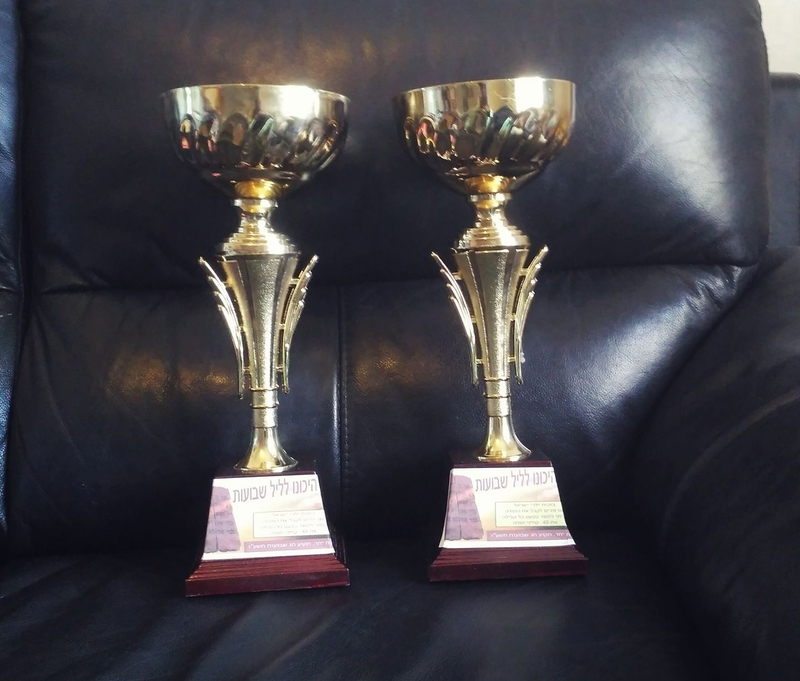 At 5:30am the two of them walked in the door, each with a huge trophy in hand. I love that I live in a place where children are awarded giant trophies, not for winning at sports, but for their perseverance and commitment in pursuit of learning Torah values. They caught up on sleep throughout the day and slept normally that night, thank God. And I am somewhat relieved to have concluded this crazy period of Jewish holidays and family celebrations! One reaction I didn’t expect was actually from my dear friend Abi. 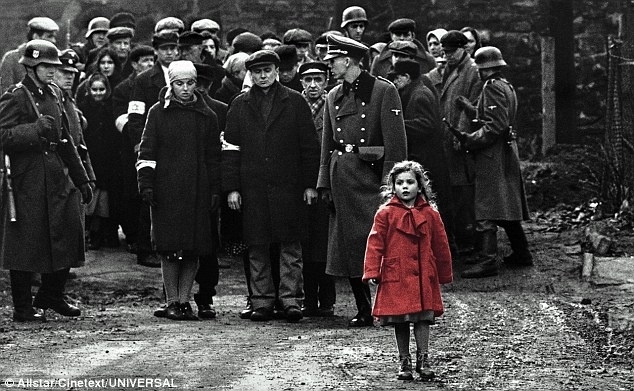 You see, she studied education at one of the mostly highly regarded colleges for educators in the country, and there was one detail from your story that horrified her: that your school had taken you to see Schindler’s List when you were only twelve years old. Before she said anything, it hadn’t occurred to me that that might have been a little young. But especially when you mentioned that during that same period they also had you read Man’s Search for Meaning and that you found it “brutal,” it struck me that maybe she was right. As I’ve mentioned, I actually never saw Schindler’s List from beginning to end–just parts of it in between naps on the bus from Warsaw to Krakow during my trip to Poland. And I read Man’s Search for Meaning a few years ago, as an adult. I don’t know how they might have affected me if I’d been exposed to them at twelve years of age. Like you, I was a sensitive kid… but apparently unlike you, I was already six years into a very carefully constructed Holocaust education at that point. You see, Abi explained, Yad Vashem, the famous Holocaust museum and research center in Jerusalem, has specific guidelines for introducing children to this difficult topic. When I related my memories of how I had learned about the Holocaust, Abi said that what I described fit neatly into the guidelines she had been taught: a gentle story taught by the school principal when I was in first grade; a phone call with my grandmother; age-appropriate books (such as I Never Saw Another Butterfly and A Place to Hide); Holocaust Remembrance Day ceremonies; testimonies from survivors; visiting museums; and finally the climax of my Holocaust education, my trip to Poland in eleventh grade. I suspect that the staff of your school did not feel a need to introduce you quite that gradually because, well, the Holocaust was not really part of your national history. There is a huge difference between teaching a group of students that “once there was a group of people massacred simply for being different,” and “once there was a group of people who could very easily have been you who were massacred because they were of your heritage.” Still, the Holocaust is a very difficult and disturbing topic for anyone, and I wouldn’t be surprised if you weren’t the only sensitive child who was hit perhaps a little too hard by this material. Then again, if you hadn’t learned it so brutally, would it still have had such a strong impact on you? Would you have taken the same interest in Jews and Judaism? Would you still have ended up the curious recipient of my e-mails, immortalized as the “Josep” of Letters to Josep?! But. The conversation inspired me to search for the Yad Vashem guidelines on educating children about the Holocaust. I found that there is a whole website dedicated to it, with detailed instructions for educators and recommended materials and educational activities, but it’s all in Hebrew. Before I begin, however, I must point out that Yad Vashem is an Israeli organization, and their guidelines are oriented accordingly. I think that with non-Jewish children, you don’t need to be quite this delicate and methodical. Nonetheless, it’s important to be aware of the child’s developmental stage and not expose a child to material that he is not emotionally equipped to cope with–Jewish or not–and to provide a supportive environment to help the child process what she has learned. Educating children on the Holocaust at this age primarily involves making sense of what the children have already heard and experienced from outside sources, and reinforcing a sense of distance and therefore safety. It’s impossible for a Jewish child to grow up without hearing anything about the Holocaust. Israeli children, in particular, will hear the chilling sound of the memorial siren and see the world coming to a halt on Holocaust Remembrance Day. They are going to need to be prepared for this. Our job as educators is to give them enough information to reassure them without giving them details that will frighten or disturb them. Unfortunately I’ve had ample opportunities to read up on talking to young children about scary events in the world. The absolute worst thing you can do is pretend nothing happened. Children are extremely perceptive and they know when the adults around them are scared, shaken, or sad, even when the adults don’t express those feelings in front of them. So hiding information will only scare them more; their imaginations can be much scarier than reality! Therefore, as with any frightening topic that children are exposed to, the idea is to give them the information they need while emphasizing the positive outcomes and reinforcing their sense of safety and feeling protected. When we’re talking about the Holocaust, then, Yad Vashem recommends that we explain that “a long, long time ago, before you were born, in a land very far away, there were some very mean people who wanted to hurt Jews, and that makes people sad. But,” we will emphasize, “there were other people who protected and rescued them.” Since the children may have heard the word “Holocaust” or “Shoah” in Hebrew, we explain that this word means “disaster” or “something that happened that makes people very sad.” If they have heard of Nazis, we can explain that this is what the mean people were called. The educator who speaks to them about it should be one who has a significant and regular relationship with the students. This will help them feel supported, safe, and comfortable bringing up questions and concerns. The topic should be introduced gently in the form of a story. Stories are a universal coping tool that humans have been using for thousands of years, and the familiar framework of the beginning, middle, and end helps give the information in a way that is safe and predictable. At this age, the story should focus on one character. This allows the students to empathize and connect to the information on a human level, without being too overwhelmed by details and possibilities. The story should introduce some basic concepts such as ghettos and yellow stars, and give a general sense of what was lost–families, communities, cultural assets, ideas–but should focus on overcoming hardship, heroism, and rescue. It is very important not to transmit a sense of helplessness to elementary-school-aged children. The activity should not include simulations or graphic scenes or descriptions. Children at this age can be very disturbed by such images, even if (maybe especially if) it’s in their imaginations. At this age we continue along the general lines outlined above. At this age, however, we expand the stories to focus on families rather than single individuals. This allows us to add more characters to the story and focus on the relationships between them. We can also expand the conversation to include universal ideas about taking a stand, such as in the case of the Righteous Among the Nations (what we call non-Jews who saved Jews during the Holocaust). Towards the end of elementary school we continue the trend of gently expanding the stories to include deeper and more difficult concepts. While we still want to be telling stories that focus on characters who survive, the story may also include characters with a relationship to the main character who perish. We still want to focus on rescue and helping one another, and not on violence and cruelty. In middle school we can deepen the conversation, taking into account the emotional maturity of the students (which may vary widely). Yad Vashem recommends expanding the conversation from families to communities at this point. Now is the time to discuss questions of heritage and identity and the relationship between the individual and the society in the context of the Holocaust. At this point in the Israeli educational curriculum, this historical period has not yet been covered in history class, so when discussing the Holocaust we begin to fill in historical details they may be missing. At this point the students have reached a level of emotional maturity where they can be exposed to the most difficult material about the Holocaust, and the conversation involves sorting out historical details, discussing ethical and moral questions, and questions of continuity and giving meaning to the deep crisis that befell our people. Most Israeli schools organize an educational trip to Poland to visit the ghettos and death camps, as discussed in last year’s post, to students in eleventh or twelfth grade (age 16-18). If one were to ask me where to place viewing Schindler’s List and reading Man’s Search for Meaning along this timeline, I think I would recommend saving both for high school. I might consider exposing a particularly mature twelve-year-old to these materials, but certainly not as the first material he or she would encounter on the topic. Instead, I would have recommended starting you off with Anne Frank’s diary. It’s been translated into 67 languages, including Catalan, and several movies have been made about it. The diary gives a vivid glimpse into the way families coped with hiding from the Nazis, but it is written from the hopeful and playful perspective of an insightful young teenager. 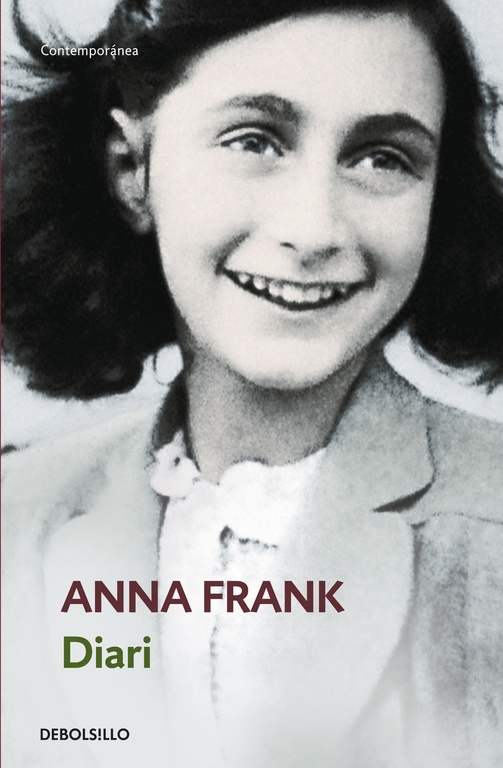 It does not contain graphic descriptions of violence, and while Anne did not survive the Holocaust, the tragic end of the story is not recorded in her diary. The information on the raid and Anne’s eventual death in Bergen-Belsen are given in the afterword. I think this helps soften the effect without hiding the enormity of the tragedy, making it a really good introduction for an older child. So I have to tell you a story. 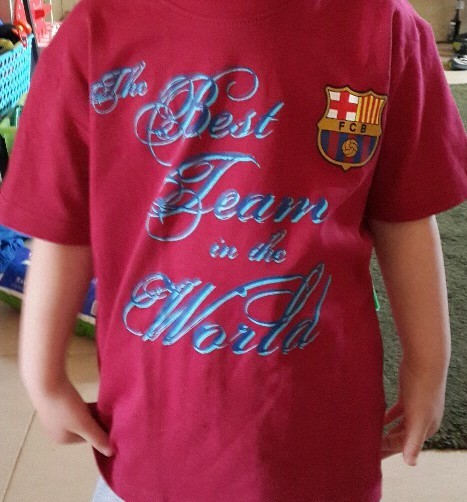 Yesterday H wore one of the Barcelona soccer team shirts you gave us. The kids wear them frequently, FYI. This one. Happens to be my favorite. I love the color. There are, however, those who feel that there is inherent… um… negativity in certain symbols, such as the cross, and that they have negative spiritual influence on those who wear them or come in contact with them. So this substitute teacher is apparently one of those people. …my reaction was of amusement more than discomfort. (I posted about this at the time on LtJ’s Facebook page.) Still, I am a Jew, and here’s a shocker: I do not believe in Jesus 😛 Moreover, the crucifix has been a symbol of persecution of my people through much of history, and its spiritual significance does not speak to me. I do believe, to some degree, in the power of symbols, much like I believe in the power of words. And much as I may respect Christians and Christianity, I am not a Christian and proper boundaries must be established. The room pictured on the right was not ours so we let our in-laws decide how to handle it, but we discreetly took down the crucifix in the kids’ room (not pictured) and put it back up when we left. We decided Mary could stay in our bedroom, ’cause, you know, whatever, it’s just a painting of a lady. Anyway, the substitute teacher. So apparently she, like our hosts in Florida, felt a personal responsibility for H’s soul, and proceeded to explain to him that it is very bad for a Jew to wear that symbol, and then to tell him a story that involved a famous Jewish rabbi, Rabbi Mordechai Eliyahu, not letting someone into his hospital room because there was a small cross shape on the tag of his shirt. That story was relayed to us later by H in the following manner: there was somebody who wanted to go into the hospital, but they wouldn’t let him, because he was wearing a symbol of the goyim (gentiles). The permanent staff of the kindergarten responded with utmost seriousness and professionalism to the incident. The main teacher told me that the staff discussed it and is going to meet with all the teachers including the substitutes to clarify the professional boundaries of the classroom. The funny thing is, Josep, that if it had had nothing to do with you, I probably would have just sort of rolled my eyes and beneath the exasperation and indignation that this woman had the gall to undermine the education of my child, I might have even felt a little admiration for her devotion. Part of my whole “interfaith” thing is that I have a kind of soft spot for people who are extremely devoted to their faith and who maintain a spiritual awareness at all times. But because that shirt was a gift from you, and is important to me–obviously, not just in the context of education–for that reason… boy, did she strike a nerve. When H reported the incident I got so angry, to the point that Eitan had to talk me down a little and remind me that I was speaking to my almost-six-year-old son. Eitan blacked out the cross on the shirt with a permanent marker. I had mixed feelings about him doing anything to it, and I really hope it does not upset or offend you. You should know that I treasure all the gifts you have given us–physical and spiritual. Holocaust Remembrance Day is observed in Israel starting this evening, on the 27th of Nisan, which is the day the Warsaw Ghetto Uprising began. The date was also selected for its proximity to Memorial Day (for the fallen soldiers and terror victims) and Independence Day next week. We see all these events as part of the same story. We observe this day with ceremonies and stories, lowered flags and sad music on the radio; and one thing that is unique to Israel: a siren sounds throughout the country at 10 a.m., and everyone stops whatever they are doing, stands up, and observes two minutes of silence in memory of the victims of the Holocaust. The entire country comes to a literal halt. As you can imagine, remembering and teaching about the Holocaust (the Shoah in Hebrew) is a big deal in the world’s only Jewish country, and given that Israel was founded out of the ashes of the Holocaust and on the backs of its survivors, it is a major part of our national identity. Educating future generations about it is of utmost importance to us. To this end, many high schools arrange educational tours to the death camps in Poland. There is some controversy about those trips; about the moral integrity of funding Poland’s “death camp tourism” industry, about whether those rowdy teenagers actually get anything meaningful out of the trip, and about whether the Holocaust should be something so deeply focused upon and ingrained into our national identity when we have 3,000 years of rich and diverse history to draw upon. After all, half of the country’s Jewish population is comprised of non-Ashkenazim–Jews from North Africa, the Middle East, India, and Ethiopia. They have other important stories to tell, stories that are not told as thoroughly and as publicly as the stories of the Ashkenazim. Furthermore, some argue, is it really so healthy for such a major part of our national identity to be built upon a sense of victimhood? Well, I traveled to Poland with my fellow 11th graders in March 2004, and it was one of the most powerful and meaningful experiences of my life. The kind of experience in which the depth of its impact is completely impossible to convey to those who weren’t there. But let me try. We visited three camps–Auschwitz-Birkenau, Majdanek, and Treblinka–as well as the neighboring cities, Krakow and Warsaw, and a number of small towns where Jews once flourished, such as Lodz, home of the famous Hassidic sect, and the charming town of Tykocin… and the mass grave in the nearby Łopuchowo Forest where its entire Jewish community was murdered by the Nazis. 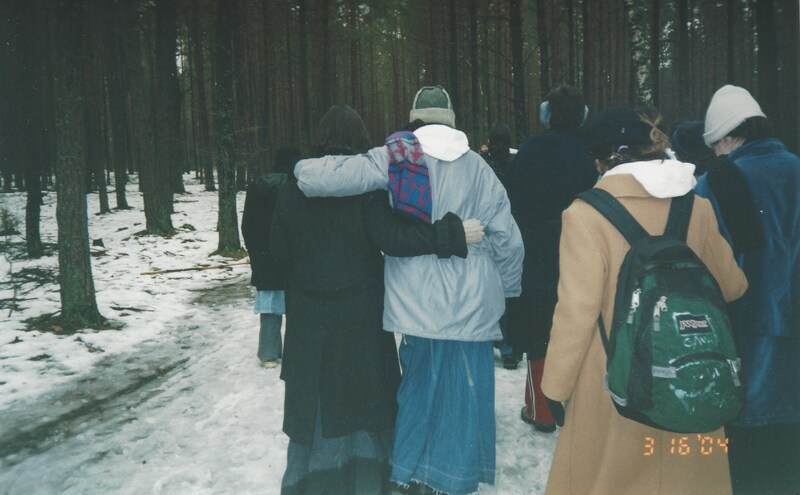 My friends walking to the mass grave and memorial site in the Łopuchowo Forest. We had several guides, including an Israeli guide, a Polish guide, and a “witness”: a man who survived the camps of Majdanek and Auschwitz and whose family was murdered at Treblinka. We are especially lucky to have been the last generation that could travel with a witness and hear his personal story as we stood at the very places where the events happened. Our witness, Avraham, was a remarkable man with a vibrant spirit and a great sense of humor, and his contribution to the trip was immeasurable. Our teachers accompanied us and ran discussion groups. Our principal had brought his guitar and he played along with our singing. And we sang everywhere. We filled every empty synagogue with song and dancing; we sang “Am Yisrael Chai”, “The Nation of Israel Lives”, and brought life and music to all these places where our ancestors had been silenced. In the gas chambers of Majdanek, we sat on the floor and sang about faith and yearning for redemption through our tears. It may sound strange to do anything but observe a reverent silence in such a place; but for us, raising our voices in song is our way of honoring those who died there, giving them a voice, calling out to God from the depths of our despair. 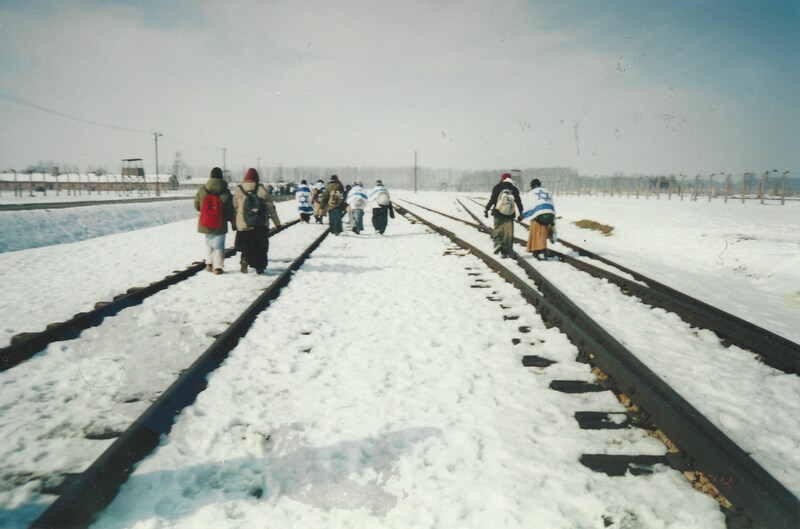 Walking to the barracks at Auschwitz. One evening in our hotel in Krakow, a woman came to speak to us and tell us how she and her family sheltered Jews during the Holocaust. After her talk, we got up, one by one, to thank her and hug and kiss her. That wordless exchange–the glowing warmth and gratitude, the firmness of her grip on my arms, the softness of her white cheeks against my lips–is burned forever into my memory. There is no way to replace this kind of learning. As Menucha says, being there with a witness to share his story was like the difference between learning about the Shoah and being in Poland; the difference between knowing and feeling. So did my trip, and the focus on the Shoah in my education, result in building my national identity on a sense of victimhood? The answer is: absolutely not. It built my national identity on a deep sense of purpose and triumph. Triumph, because we are the answer to the Holocaust. Every Jewish baby born, every Israeli soldier sworn in, every mitzvah observed, every holiday celebrated, every song, every laugh, every smile is another slap in the face of Hitler and all he stood for. Ultimately, we won; not with guns or bombs, but with our spirit, our faith, and our dedication to our identity and purpose. 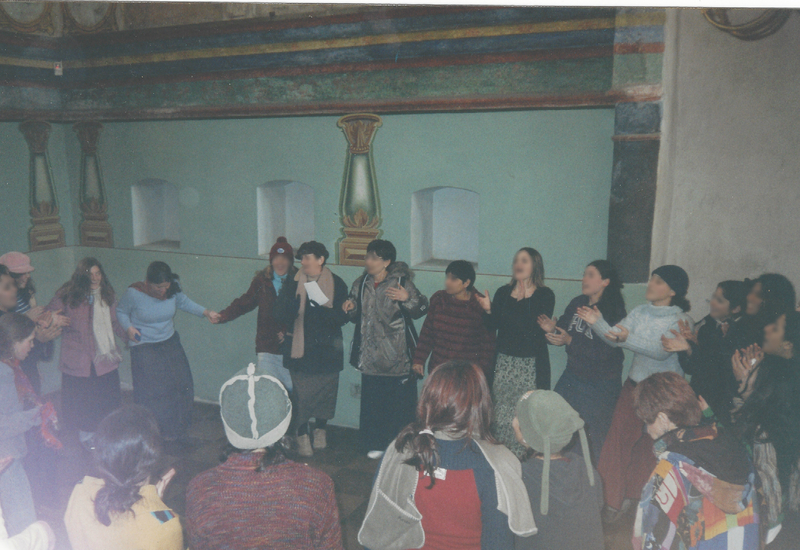 “The Eternal Nation is not afraid of a long journey”, I sang with my friends in the empty synagogues of Poland. The Jewish people is here to stay. We have something invaluable to give the world. We have been oppressed, persecuted, and massacred for carrying that message for thousands of years. But we’re still here, still carrying it. Learning the terrible extent of the sacrifice my brethren made to keep their identity and hold on to that message makes me all the more determined to do the same, and to pass it forward into what will hopefully be a brighter future for all of us. I remember you telling me once that one of the things you liked about Jews and Judaism was the strong emphasis on education and love of learning. Jewish literacy rates were always significantly higher than those of the surrounding populations, and it all comes down to the fact that teaching our children is one of the most important commandments in the Torah. Combine that with the love of delving into the depths of the Torah that characterized our ancestors, and it’s no wonder there’s a completely out-of-the-park disproportionate representation of Jews in the sciences and other fields that require a lot of study. As with everything, the Sages guide us in how to properly educate our children and raise them to serve God and be good Jews and good people. When you see a Jewish boy with these things, he is probably over three years old. Why? 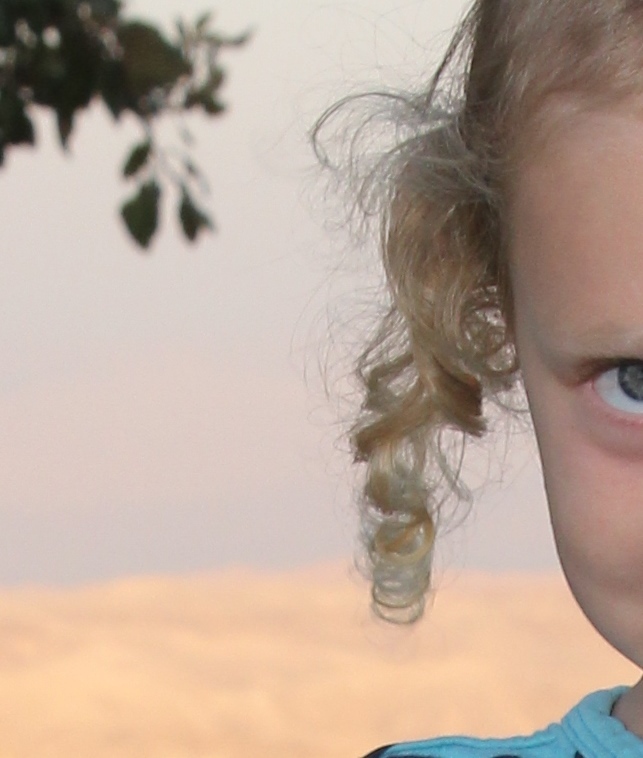 Because age three is what we call gil chinuch–the “age of education”. It is when we start teaching them about the Torah and the mitzvot. 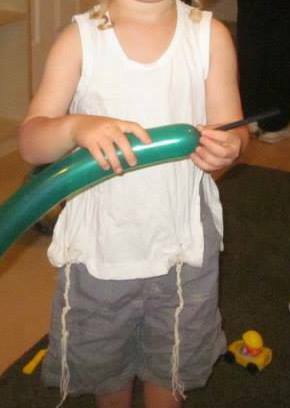 There is a custom to let their hair grow out until the third birthday, so that we can cut it that day to teach them about the mitzvah of payot; the prohibition to shave that area above and behind the ears to create a rounded shape–because this was a symbol of idolatrous practices back in the day. (The payot don’t need to be that long, but like with beards, growing them out is an outward symbol of piety.) We also have them start wearing tzitziyot and kippot* at this age. These are all highly visual and experiential mitzvot that make the children look and feel different, and that’s why they’re the best ones to start with. Kippot are actually not a Biblical commandment and even rabbinically they are only required when studying Torah or praying. The idea is modesty before God when speaking of Him. But today most observant Jewish men wear them all the time, and they have become an expression of Jewish identity, to a point where not wearing one is considered to be making a statement. So practically speaking we think of it as a requirement. Anyway, back to chinuch. Age three is also when we start teaching them to recite blessings and basic prayers, and to light candles for Shabbat. Observant Judaism is so complex and there are so many details, we don’t try to give it all over at once; we introduce things slowly and organically. You probably don’t remember when we were walking home from the playground on Shabbat and one of my kids picked up a coin that was on the ground; I mentioned that we are not allowed to carry money on Shabbat, and you asked if you should take it from him, and I said no. I don’t want them to experience Shabbat as something restrictive and harsh, so I choose my battles carefully. Children are not obligated in mitzvot until their bar or bat mitzvah–at age 12 for girls and 13 for boys. In Judaism, this is the age where they become morally responsible for themselves. By this age, of course, most of them have been keeping all the mitzvot for years, with the possible exception of fasting on fast days. I was thinking about this lately as I listened to H and R1 recite the blessing over tzitzit in the morning. There is a concept in Yiddish and Hebrew that is not quite translatable into English, called nachat (or naches in Yiddish); it’s that sense of contented joy and pride you get when your children or other loved ones live up to your hopes for them and “do you proud”. That’s what I feel when I hear the sweet voices of my children reciting that blessing. Slowly, carefully, I am taking this precious gift passed down to me through hundreds of generations starting at Mount Sinai, and passing it on to my own children; becoming a link in the chain that roots us in the past and raises us towards the future.